Experiencing God in worship is the central activity of all that we do in the Vineyard. The Vineyard movement was birthed in simple songs and transforming moments of worship. 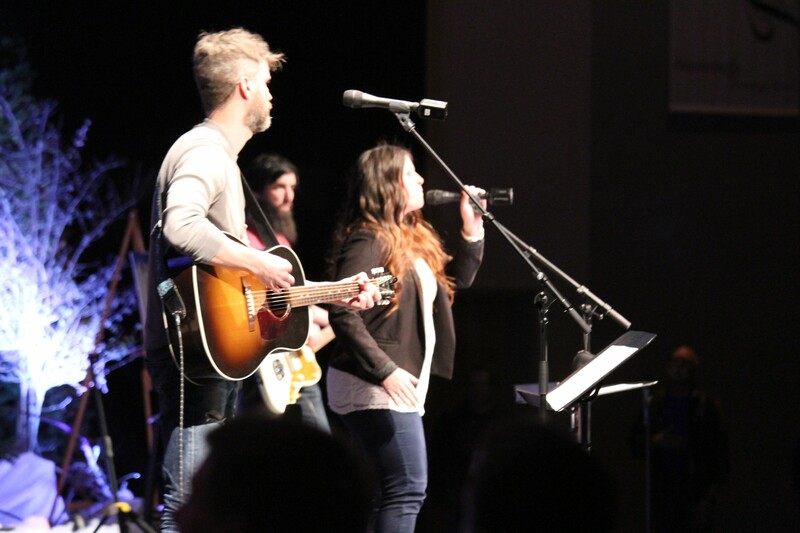 To this day, experiencing God in worship is one of the hallmarks of Vineyard churches. Throughout our story, the Vineyard movement has been primarily known for our expression of worship though the songs that God has given us. We have a rich history of meeting with God in worship, writing and recording songs for the Body of Christ, and serving worship leaders in their high calling in the local church. Playing a vital role in birthing the contemporary worship movements of today, and with a few thousand songs pouring from Vineyard Worship over the last decades, the Vineyard movement has its own “hymnody” carrying our theology and values. When we lift our voices and bow our hearts, we expect to experience God’s presence as a palpable reality. We have found we are made more fully human and better reflections of the God-image that we were created to be. Worship shapes us as we respond to God’s love, and meet with Him, in the songs we sing. While there are many ways to worship, singing is vital to the Vineyard. Vineyard Worship is the arm of the Vineyard that serves our worship leaders, songwriters, and need for fresh worship music that carries our theology and values. Vineyard Worship has two primary functions. The first is to foster, by hosting annual regional worship leader retreats, supporting recording projects, hosting training events, and nurturing friendships among worship leaders around the country, a dynamic and prolific creative worship leading community among our churches. The second is to collect, record, and distribute songs birthed within Vineyard churches. We value an intimate connection with God in our worship environments, knowing that revealing our hearts to God ultimately heals us. When we sing that we want to care for the poor, we want that to be true of our lives and activity as well. Integrity in worship is important to us. For us, worship is a community experience. For that reason our songs are often presented in a way that connects with all those gathered for worship. We believe that God responds to our worship, often by His Kingdom breaking in with moments of healing and personal transformation. We value in our music that it is true to our time, and the places and cultures of which we are a part. In the Vineyard, we engage with songs as a place we go to meet with God – that means our worship is passionate and heartfelt. We are intentional about widening the scope of our family in all manners, multi-generationally, multi-ethnically, and welcoming both men and women to serve. If you’d like to know more about Vineyard Worship, visit us at www.VineyardWorship.com.